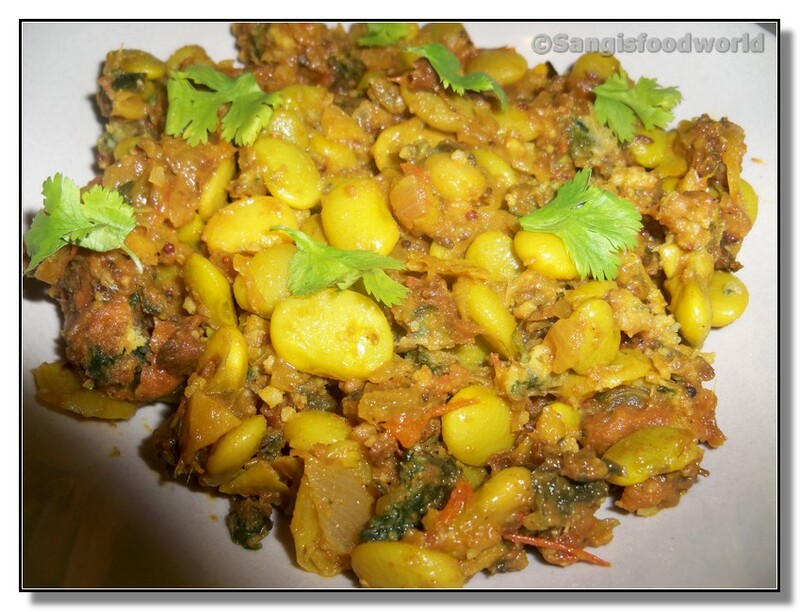 This is a simple and yummy including lot of nutritive values from spinach and legumes added to it. I tried this curry when I had some left over masala vadai/ bengal gram dal fritters batter. I tossed in some chopped spinach into the vadai batter and it turned into yummy pakodas. Later on added these crispy pakodas with the Lima beans curry and the combo tasted great. I made it like a dry curry. We can also make it with gravy to go with rice. This may sound something similar to vada curry with lot more veggies added to it.. Grind Bengal gram with salt and very little water if needed into a coarse paste. 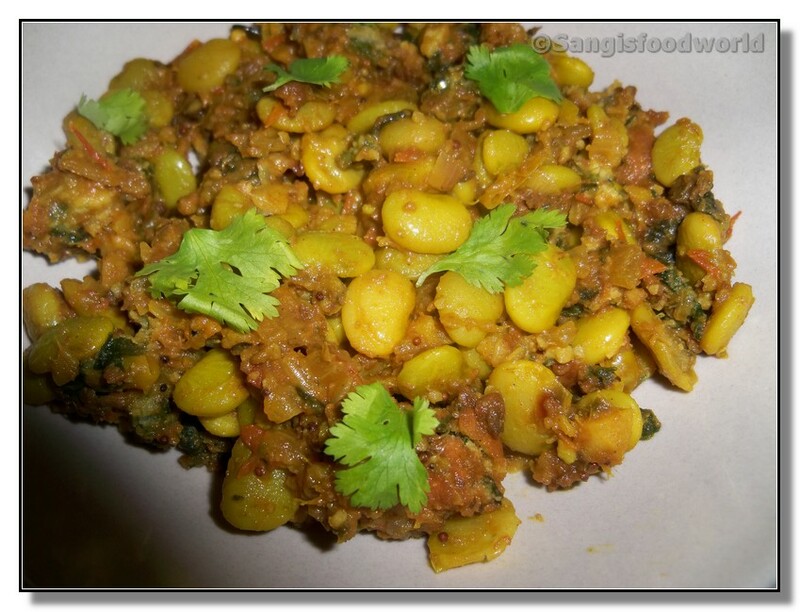 Add onions, curry leaves, fennel seeds, coriander, green chilly, ginger, spinach to the ground paste and mix well. Drop the batter with a spoon into the hot oil and deep fry until golden brown. The pakodas can of be of any shape but of bite size. 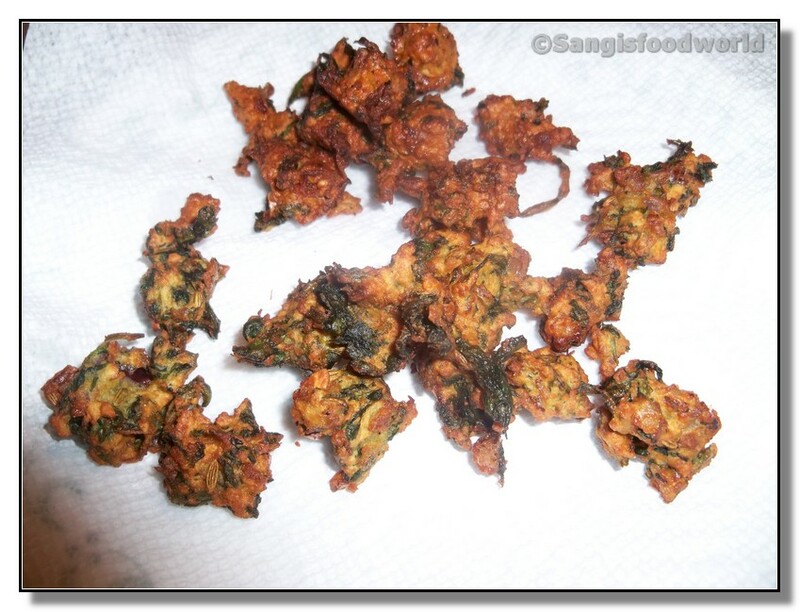 Its better to cook the pakodas just 3/4th so as to that they can easily absorb the gravy and get soft. Garlic pearls - 3 nos. Green chilly - 3 nos. Curry leaf - Few nos. Heat oil in a pan, add cumin seeds, curry leaf ,cloves, cinnamon and let the seeds sizzle. Add onion, tomatoes and cook until the mixture turns mushy. Meanwhile grind coconut, ginger, garlic, fennel seeds, green chilly, cardamon into a smooth paste with water. Add the ground paste to the pan and fry mixture for 5 minutes or until the raw flavors of coconut leaves the mixture. Add tumeric, salt, red chilly powder, lima beans and pressure cook the curry for 2 whistles. Finally add in the pakodas and adjust for the consistency of the curry. This will be a great side dish for chapathi, dosa and rice. 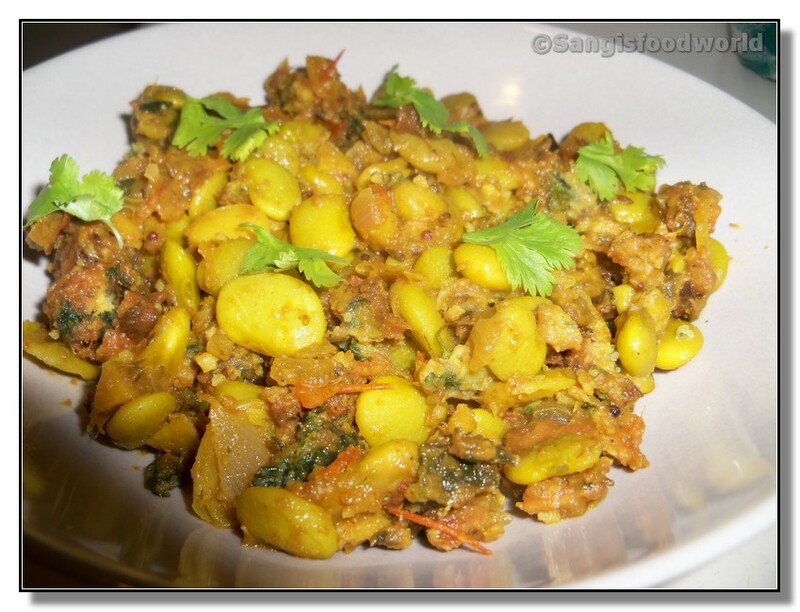 This yummy curry goes to MLLA 32 event by Susan guest hosted by Sandhya and to Healing food - Ginger and Garlic event by Siri guest hosted by Sara's corner.